Peterlee Pumas under 16s played the curtain raiser for the day against a visiting Catterick side. The Pumas have been dogged by injuries this year and have not had the great success of recent years but got back to winning ways with a comprehensive win over the visitors. Strong running from the forwards set a platform to get the backs shifting the ball wide in slick fashion which will be needed when they make the transition to to open age and playing in the National Conference side in the not too distant future. Catterick battled back to get two consolation tries one either side of half time but the flow of points was generally in favour of the Pumas as they marched up to 62 points. Full time 62 8. By contrast, the 1st team had to fight for every single inch of ground, every tackle was fierce from both sides and every point was earned with nothing being given by either side. Referee Peter Parker controlled a very physical game very well throughout and kept the game going in what was a great spectacle for the supporters on the side lines. Peterlee had to re adjust just before the game as 3 late cry offs meant a lot of readjustments fro the coaches and having to put two second rowers in at centre which was where the main threat from Hindley was to be expected it looked like another tough day at the office and Hindley didn’t disappoint with centre Rob Bailey opening the scoring for Hindley with a try on the 13th minute to make it 6-0 after with Hindley’s man of the match Chris Scarborough converted but returning second rower Connor Grainger back from a spell at Myton Warriors came up with a reply on the 17th minute to make it 6-4 to the visitors, Bailey replied on the 23rd minute with Scarborough converting to make it 12-4. Prop Josh Donahue crossed with a storming run through the Pumas right centre from 20 meters to cross again with Scarborough making it up to 18-4 on the half hour but then Pumas second rower James (Kyle) Scott having to play at centre powered over on the right on the 33rd minute, Full Back Leigh Wheatley converted to make it 10-18 at Half time. Prop Andre Rollins powered over 2 minutes into the second half, Wheatley converted to make it 16-18 then Prop Adam Howard powered over on the 58th minute with Wheatley adding the extras to make it 22-18 to Peterlee, the atmosphere and support from the side-lines was excellent for the young Pumas side and kept them going and Pumas man of the match scrum half Zac Mcluskey sped over the line to score with Wheatley adding another 2 to take the Pumas to 28-18. Rob Scarborough at Standoff split the Pumas line and hit back for the visitors with a marvellous solo effort to bring the score to 28 22 but missed converting his own try on the 65th minute and Hindley winger Danny Carbry went over on the 70th minute with Scarborough adding 2 more to make it 28 all with 10 to go. 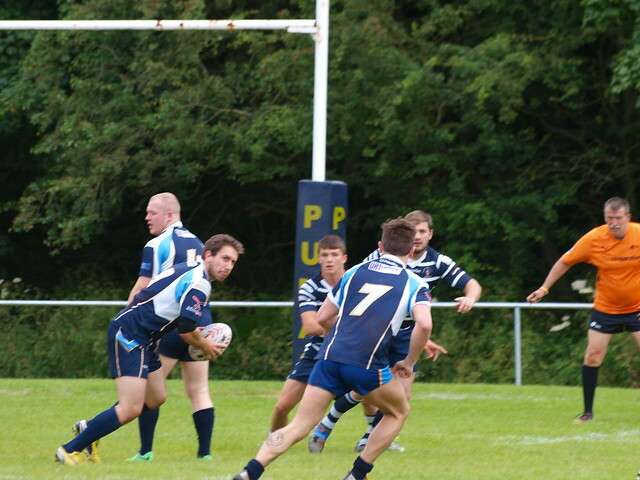 A great game of the sort that only Rugby League can produce and great first win for the Pumas, Hindley are in the top 6 of the division and have beaten some of the top sides in the league so a very good day for the Pumas who add another first for a North East club winning in the National division.